Leasing a restaurant? Here are five clauses you need to include. Without them, you may see yourself on the hook for much longer than you planned if you ever sell the store. Trust us. As restaurant brokers, we have transferred dozens of restaurant leases. Our best advice to you is to avoid these blunders now so you can transfer the store with no issues later. The most common error in negotiating a restaurant lease is the failure to plan for an exit strategy. No one enters business expecting to fail but it can happen. Partners get sick or walk out of partnerships. Couples divorce, or liquor licenses get pulled. On the flip side, businesses sell. You get an offer you can’t refuse. The guy developing a new brand in your market wants your location and your location only. Your partner wants out and you want in and the only solution is to sell your restaurant. There are countless reasons why a business owner will need to get out of the restaurant lease. 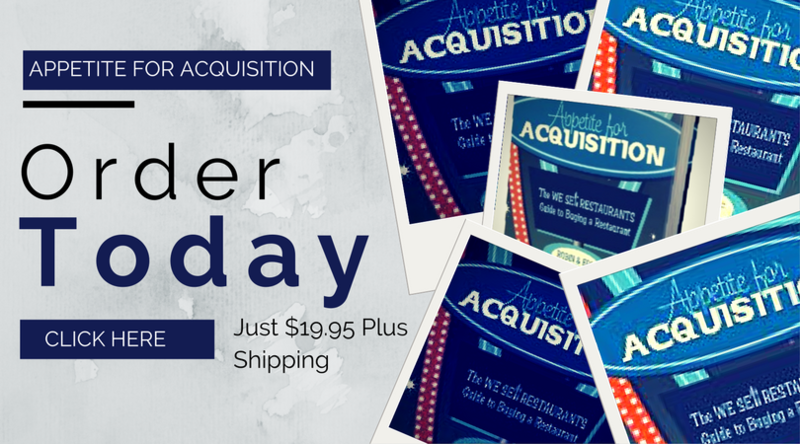 We recommend you have an exit strategy at the time you negotiate the initial terms. Generally, this will not be found in the first draft of the landlord’s restaurant lease and you need to fight for these terms. Avoid these blunders by including clauses that handle the most common transfer terms. If they aren’t there, you or your restaurant broker need to fight for them. Restaurant lease transfer is the single most contentious issue in the sale of a business and kills more deals than anything else. Your only power in this negotiation is at the outset of the restaurant lease, not when you’re ready to sell. Make sure the terms of the restaurant lease spell out how it will transfer it to another party. You may enter into a restaurant lease with a landlord with lots of experience, but always think in terms of selling the store at a later date. Plenty of successful individuals enter the restaurant industry without experience, but that doesn’t preclude their eventual success. Landlords often will try to sneak language into the restaurant lease that requires five years of restaurant experience, even for franchise operators and it can severely limit the pool of buyers for your business. Do the reverse and ask for an automatic approval if they are approved as a franchisee. Determine up front what the amount of the transfer charge or assignment fee will be. Never agree to vague language like “reasonable” attorney fees. What’s reasonable to you is totally unreasonable to someone else. Define this term. Identify the amount you’ll pay in a transfer so you know what it is and insure that it’s minimal ($500 to $1000 is appropriate). We have seen transfer fees go to exorbitant levels ($10,000) in recent years. Landlords will never move at the speed of business. Just when you are ready to sell, they are working on other projects and a restaurant lease transfer is their lowest priority. Try to force a specific time frame into the language, such as “transfer shall occur within thirty days of submission of a formal request.” Landlords are famous for dragging out deals. When you’re negotiating the original restaurant lease, you’re in the driver’s seat. When you want to transfer it later, you’re no longer a priority. Landlords have a lot of information on you including store sales, your earnings and much more. Never sign a restaurant lease unless the landlord is held to the strictest confidentiality. He or she often receives the purchase agreement and you don’t want them disclosing what your store eventually sells for. Make sure landlord should be held to confidentiality on the terms of any future sale of your restaurant. That’s it. 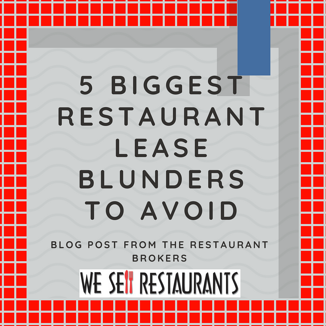 Include these terms and avoid five blunders that will cost you time and money when you get ready to transfer your restaurant lease.